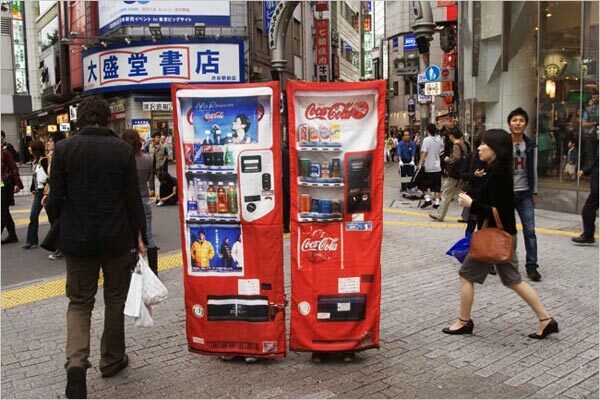 A vending machine disguise, by the brilliant Aya Tsukioka. Unfortunately, the accompanying NYT article can’t quite make up its mind whether this is art or one of those crazy things that those wacky Japanese get up to. Thanks for the tip, Kate!